This is a novella (approx 138 pages) about Gemma Melcombe and Terrance Ramsey. They are characters from the Elemental Mysteries quartet (A Hidden Fire #1, This Same Earth #2, The Force of Wind #3 and A Fall of Water #4). 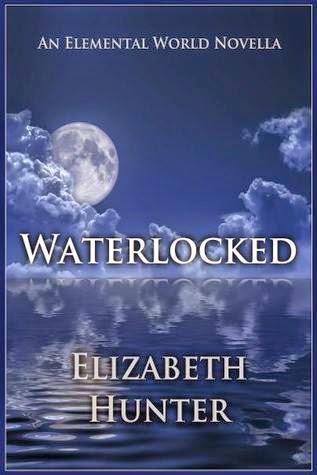 Elizabeth Hunter published this story 6 months after she had completed and published the Elemental Mysteries series and so I actually think this could be read after you’ve read them all too, in fact, I think this story could also work as a stand alone tale. This book is broken down into nine chapters including a Prologue and an Epilogue and centres on Terry’s desire to open up Gemma’s heart into loving him as completely as he loves her. I am already a fan of Ms Hunter; her writing style, the characters she creates, and the way she unfolds her stories to us. This book didn’t let me down. Reading this story, I felt transported into the lives of “diamond-in-the-rough” Terry and fiercely private and protective Gemma; the way they saw the world, their priorities, hopes and insecurities. I enjoyed the flashbacks into Gemma and Terry’s relationship, giving us that all important background information and Terry’s attempts to woo Gemma but it isn’t all slushy lovey-dovey stuff, they are both vampires, after all! I loved that! This story gripped me from start to finish and yes, a few tears did fall on a number of the more poignant occasions. No. Can’t think of a single thing! Lol! I really enjoyed reading this story! I loved getting to know Gemma and Terry. Fans of romantic, relationship based books will enjoy this, as well as readers of vampire stories.